Located in the Villages at Ocean Hill, Salty Bones (formerly called “Bono Fide Blessing”) is in a quiet, sound side cul-de-sac yet only a half mile from the beach. 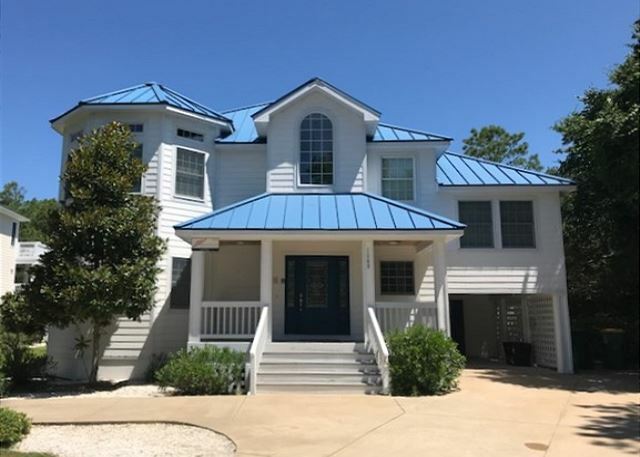 This pet-friendly home has 5 bedrooms, all with flat-screen Smart TVs and features two King Master and one Queen Master Bedrooms. New for the 2018 Season: New grill and patio area table and lounge chairs. Dogs (up to 2) are welcome. King Master Bedroom with Flat Screen TV, a Queen Master Bedroom, a Queen Bedroom shares the Hall Bathroom with a 2 Twin Bedroom with deck access. All Bedrooms on this level have Flat Screen TV’s. Plan to spend time together in the large Living Room which has a 55" UHD Smart TV with Sound Bar (note: interior gas fireplace is not for guest use). 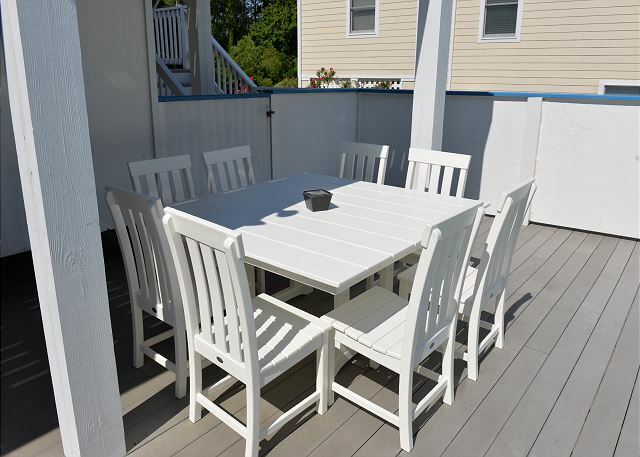 Spacious Kitchen and Dining area with stainless steel appliances, island seating (seats 3), dining (seats 10). 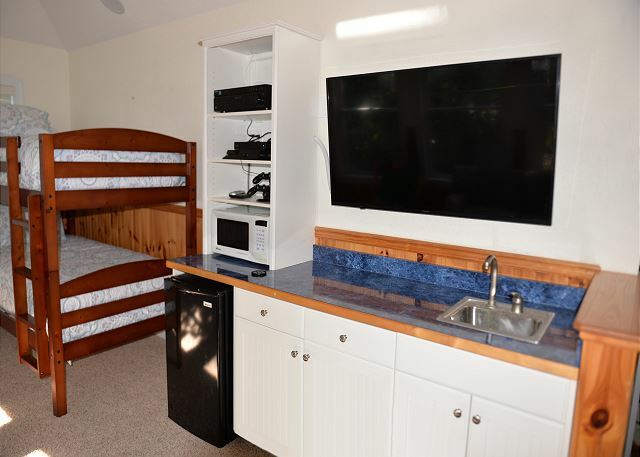 The kids will enjoy a separate lounge area which is up a short flight of stairs and has a Bunk Bed Set, TV, mini-fridge, microwave and wet bar. 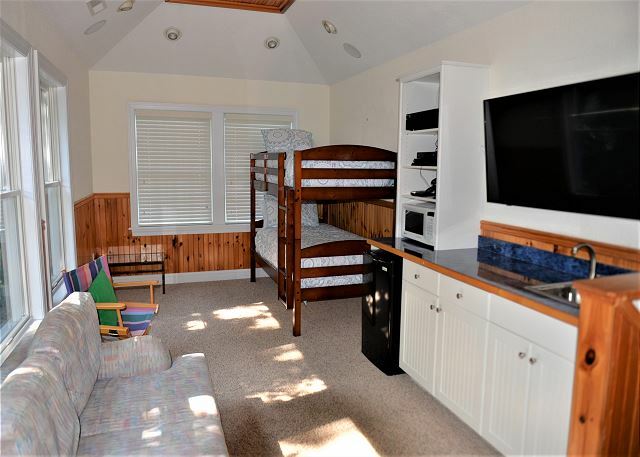 There is also a King Master Bedroom with Flat Screen TV on this level. 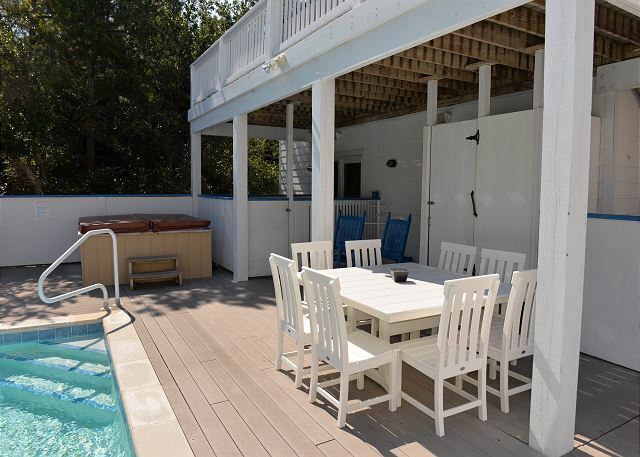 Enjoy the large private pool, hot tub and dining table on the outdoor patio. Guests will have passes to park at the ocean side parking lot, which is 100 yards away from the surf, rather than walk over with their beach gear, if they prefer. Remember, your family will be able to use all the amenities of the VOH community including free access to the Fitness Center (6 passes for guests), 2 community pools (one by the ocean and the other by the Fitness Center), basketball, tennis, and volleyball courts plus a playground for children. Sharkey’s, a full-service snack bar is located by the beach where you may choose to beachcomb, sun, swim or stroll on the pristine beaches of Corolla, but for a change of pace, use your SUV to explore the nearby 4WD beach where you may come across a small herd of wild horses as they saunter near the tideline! 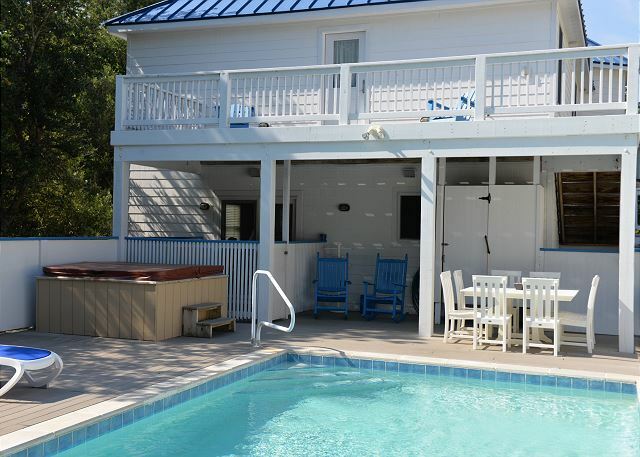 Private Pool is open from mid-May to mid-October. The house was perfect for our family vacation. The layout of the house was beautiful and allowed for comfort and relaxation. We enjoyed all of the amenities greatly. 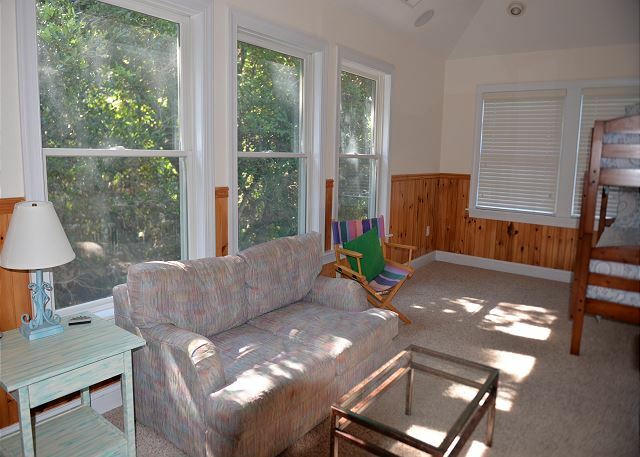 We found the proximity to the beach to be ideal and the neighborhood to be a wonderful area to walk around. We hope to return soon. Great location. Enjoyed the pool and hot tub. Plenty of room. Well-equipped.